Bulk products are transported in many different ways, from bulk bags of all sizes to road tankers, flexi bags and iso tanks. Abbey understands that the need to reformat products from one type of container to another is vitally important for our customers to give them the flexibility they need to serve their own customers. 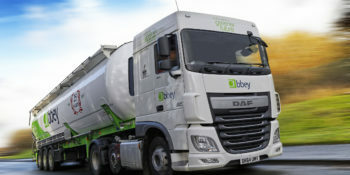 In 2018 Abbey launched both its liquid drumming and bag to bulk handling services at its warehousing facility in Bromborough on the Wirral. 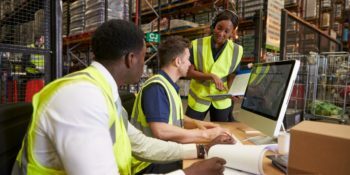 Both areas are designed to help customers have greater flexibility in the way they distribute their products, streamline their supply chains and improve efficiency. The site is ideally located close to Liverpool docks and the motorway network. Abbey’s drumming facility supports customers by providing bulk tanker movements of finished products to Abbey’s drumming site where road tankers discharge finished products into the facility to be packaged into drums. Abbey’s knowledge and expertise in food grade logistics mean we have the specialist experience essential to this service and hold all the necessary accreditations and management processes to ensure our drumming service is a success for our customer. Abbey manages every aspect of the supply chain, from point of manufacture to point of loading the drums for onward distribution. This includes labeling, stock control and on-site logistics, enabling us to control the strict standards of hygiene required for packing and transporting food grade products. Abbey’s bag to bulk handling service can provide rip and tip reformatting of bulk bags of various sizes into bulk road tankers, iso tanks and silo containers. Our equipment and experienced operatives follow strict health and safety requirements to ensure zero spills or waste and strict contamination controls. We currently provide bulk handling for food grade and non-food grade products such as plastic granules. To support this, our large warehousing facility can store customers’ products providing the flexibility to be able to call upon their inventory at very short notice.